Thanks to the special construction of the traction sipes and the new designed snow grooves the interlocking with the snow significantly raises the traction and handling comfort on snow covered roads. The blocks of the rib are only separated through thin lateral grooves which form a stiff rib due to the forces while braking. 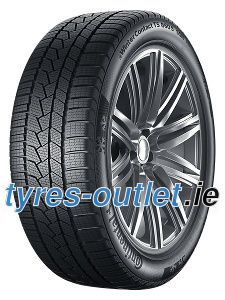 This leads to shorter braking distance espacially for sporty driving in wintry conditions. Wider and bigger blocks on the outside shoulder increase the contact area which results in larger footprint for maximum control and steering precision while cornering on dry wintry roads. Due to its combination of innovative compound, profile and construction the WinterContact™ TS 860 S efficiently reduces the rolling resistance for higher fuel saving – without compromising the safety. 80 km (50 miles), depending on road conditions and vehicle weight. 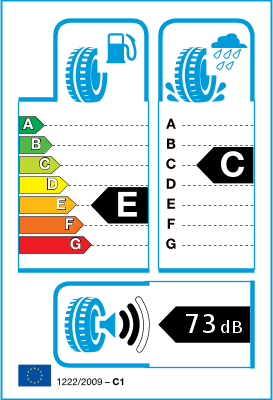 Because of the good riding comfort SSR tires afford, drivers hardly notice any pressure loss in the event of a flat, to increase both safety in the event of a flat and performance during normal driving, the SSR system is supplied together with an inflation warning system – either TPMS (Tire Pressure Monitoring System) or DDS (Deflation Detection System), both of which were likewise developed by Continental. These warning systems alert the driver when a drop in inflation pressure requires investigation via a display on the instrument panel.